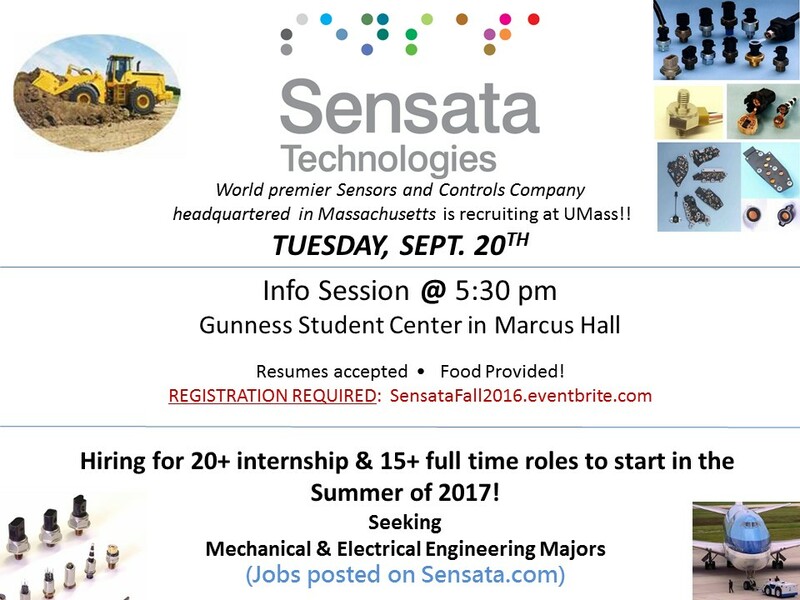 Sensata Technologies, one of the world's leading suppliers of sensing, electrical protection, control and power management solutions is recruiting at UMass! Get a company overview and hear Sensata engineers discuss the type of projects their interns and fulltime engineers work on. Seeking electrical and mechanical engineering sophomores, juniors, seniors and MS students for approximately 20 intern and 15 fulltime opportunities to start summer 2017! Resumes accepted & Food provided!